This is where we started with the new build. 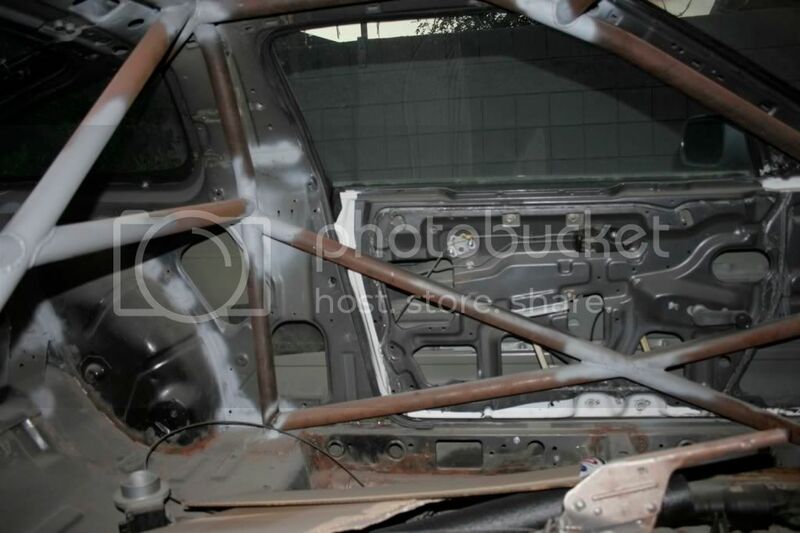 I was very lucky to have a sunroof-less S13 given to me by my good friend and former Drift Alliance member, Ryan Hampton, as these shells were getting harder and harder to find. 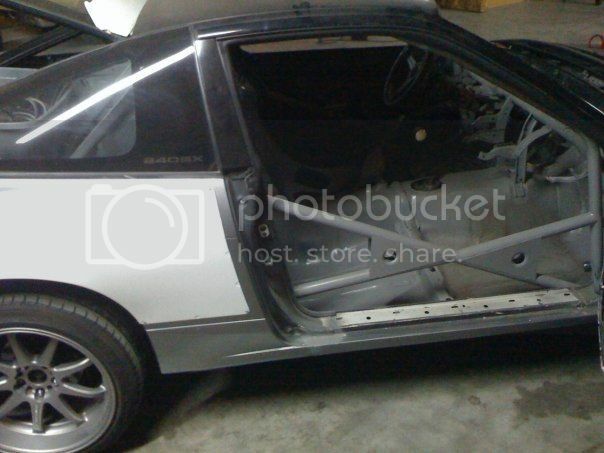 We began by stripping the entire car down until all that remained were the glass, rear hatch and doors. Now the fun part.... several wirewheels later and a bucket full of dry ice we had prepped the seams and removed the sound deadening to start welding. 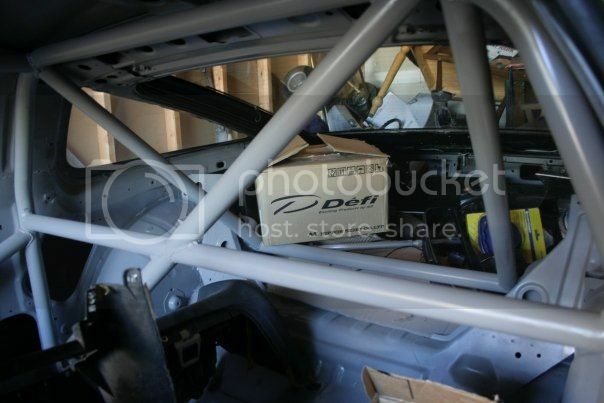 Our good friend Alex Pfeiffer lent us one of his Battle Version competition legal cages so we could use it as a guide and make our roll cage. Very basic double door bar 6 point cage, awesome clearance and simple design. Reinforced the door bars with some gussets, ad a little paint and it starting to look like something.